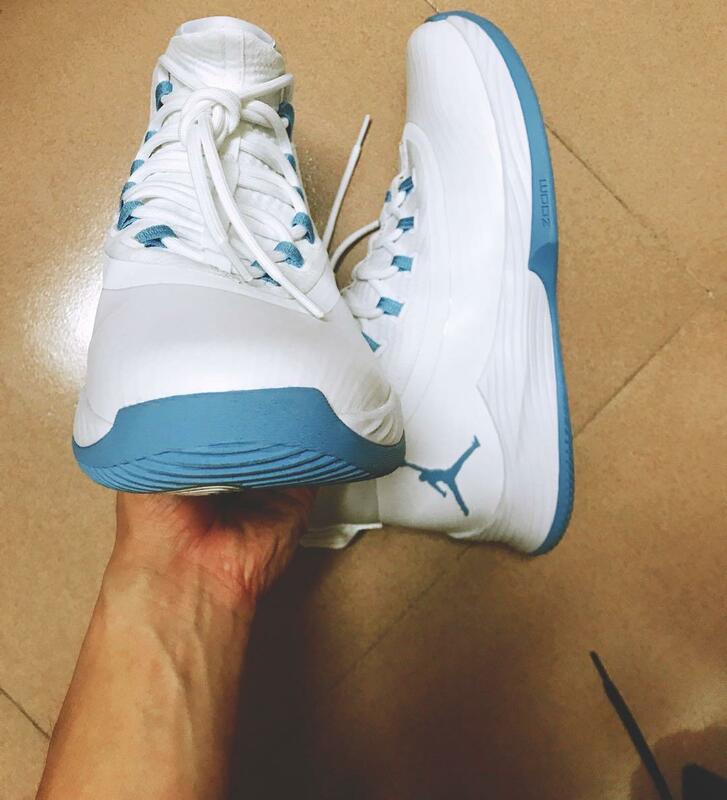 It has already roused a hot and amazing pursuit since the first day this Air Jordan UltraFly2 was released. 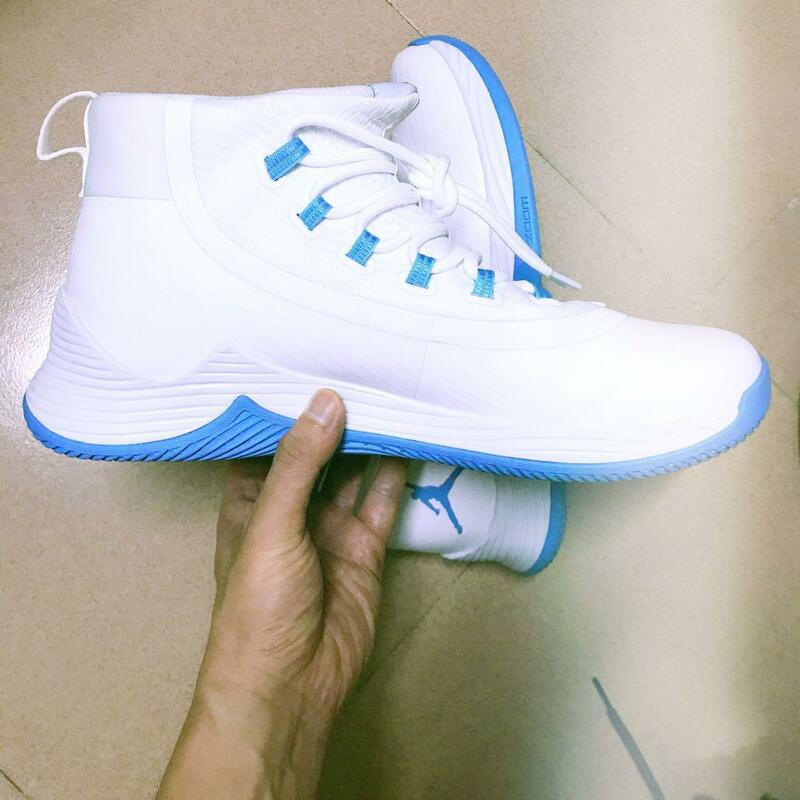 Upon its advent, many people might be “lurking” somewhere, preparing to cop one pair of this Air Jordan UltraFly2. 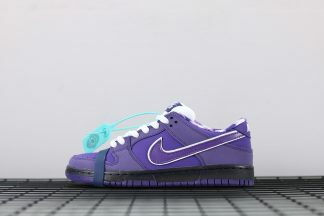 However, the fact fails many people for the amount of this model is greatly limited, thus making some sneaker fans can only dream of it but can not get it. But irrespective of the fact, we are still going to get a detailed look at it. Surely, the settings of a shoe is of important. And with all the tech included, this Air Jordan UltraFly2 is truly a bang for your buck. But on the other hand, the appearance is of course important as well as the settings, isn’t it? 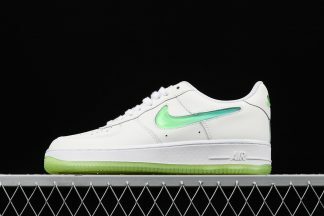 From my own perspective, this shoe’s appearance can be said to be one of the leaders and the top one of its series. But “one coin has two sides”. Despite its good-looking, for the colorway of this one, it can easily get dirty, thus resulting in wiping every now and then so as to keep its purity. 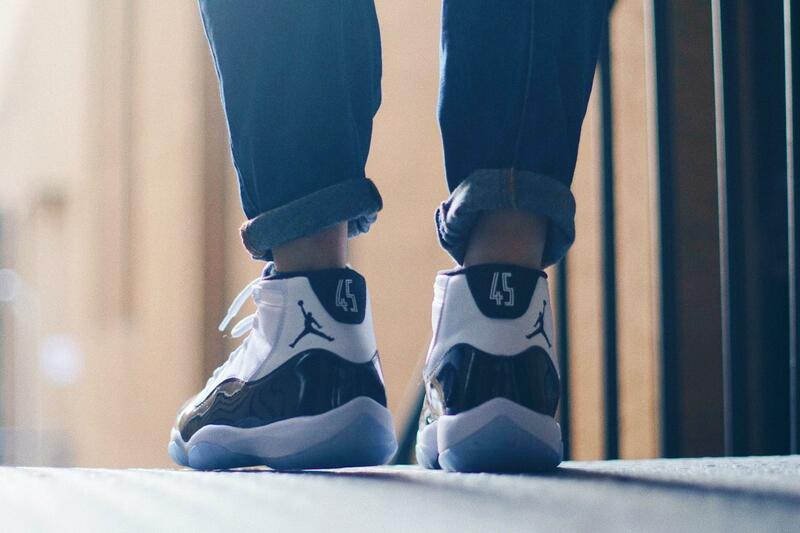 Therefore, if you are fortunate enough to grab one pair, you’ll need to spend some time dealing with it. 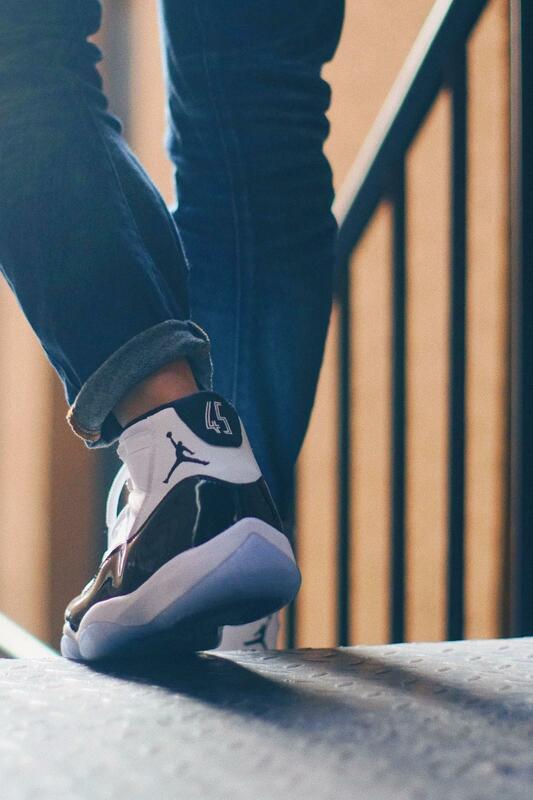 Feeling amazing on-foot, the upper is an engineered knit and a one-piece construction. And it is likely that some people might not enjoy the overall fit because of the one-piece construction. 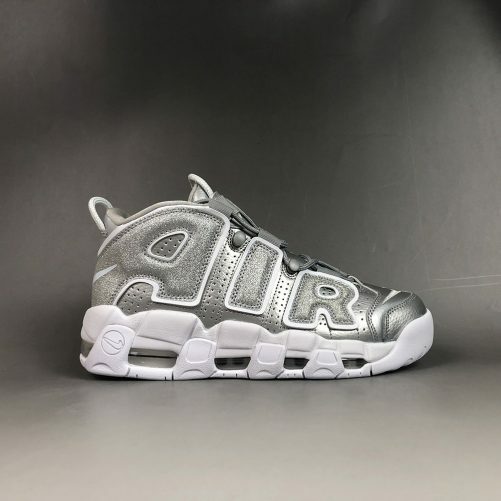 According to some, they enjoy quite a lot the solid lockdown and support provided by the shoe and have never run into any slippage since the shoes are well padded. 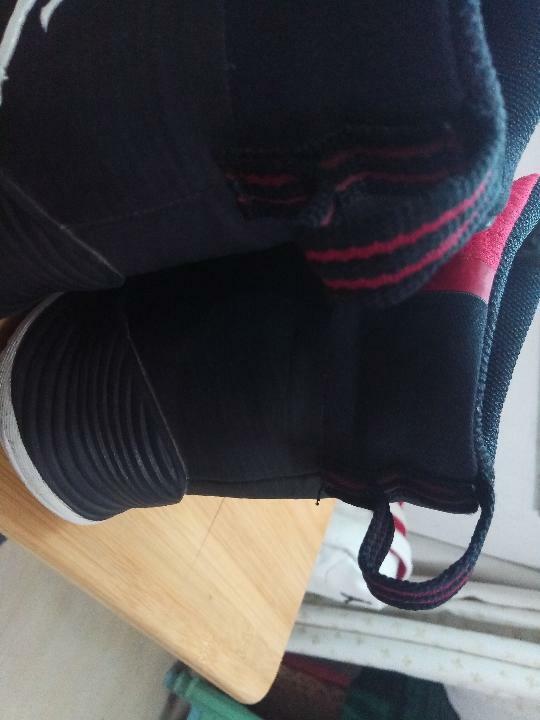 For me, being able to get a chance to try it, I feel like wearing a knitted shoe while with the reinforcement of an upper constructed of TPU, it is a very nice blend between the two and it feels pretty well balanced. 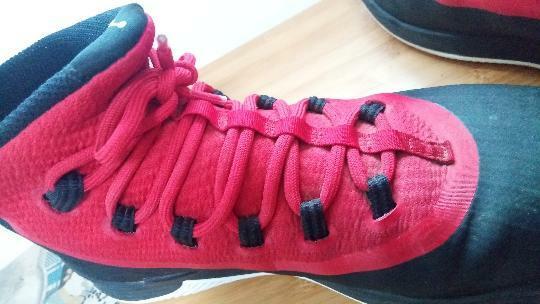 For the laces, it is a regular version——nothing special in it. 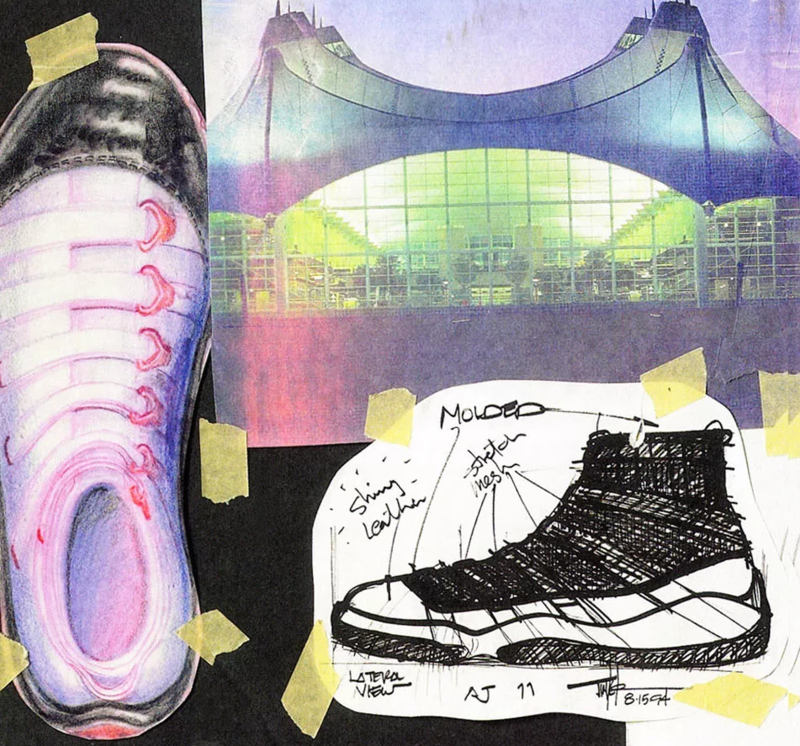 But common as it is, the shoe’s wrapping would not have facilitated had the designer not installed the laces in the shoe. 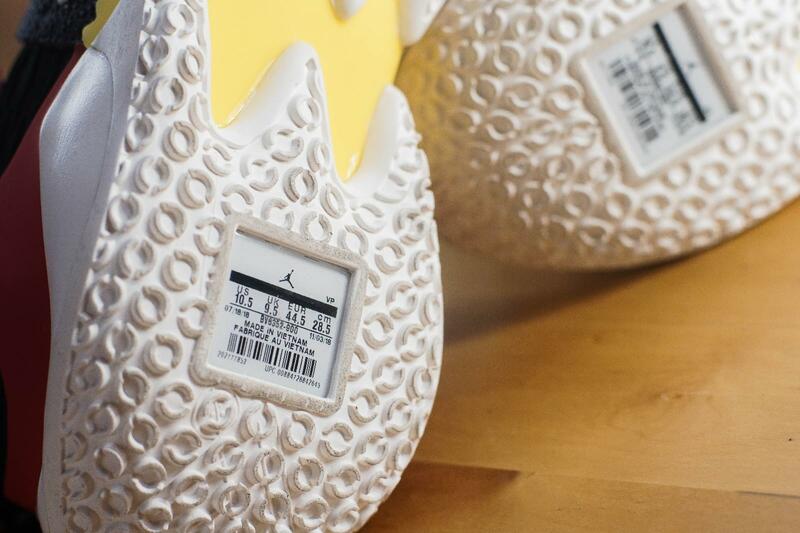 According to some testers, they exclaim that the shoes are very hard and annoying to put on for the opening is small, and it doesn’t stretch much. Then there is no need worrying about this: at the rear part of it, there is also a collar which helps you wear in. It really does a great help. 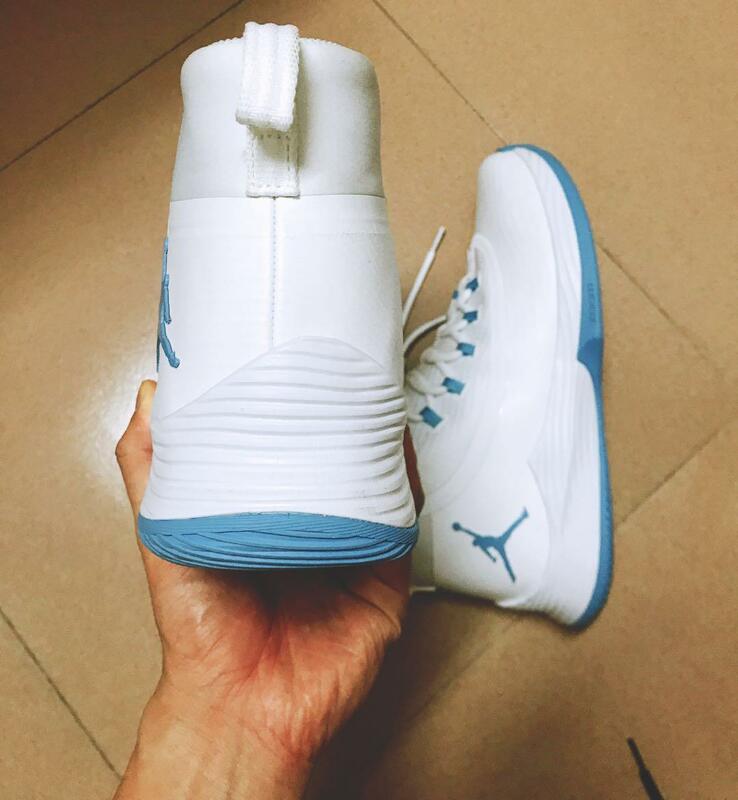 Some reviewers also said that Air Jordan UltraFly2’s wrapping is the best they’ve ever come across. To sum up, not only is the materials durable, but the wrapping also performs exceptionally. 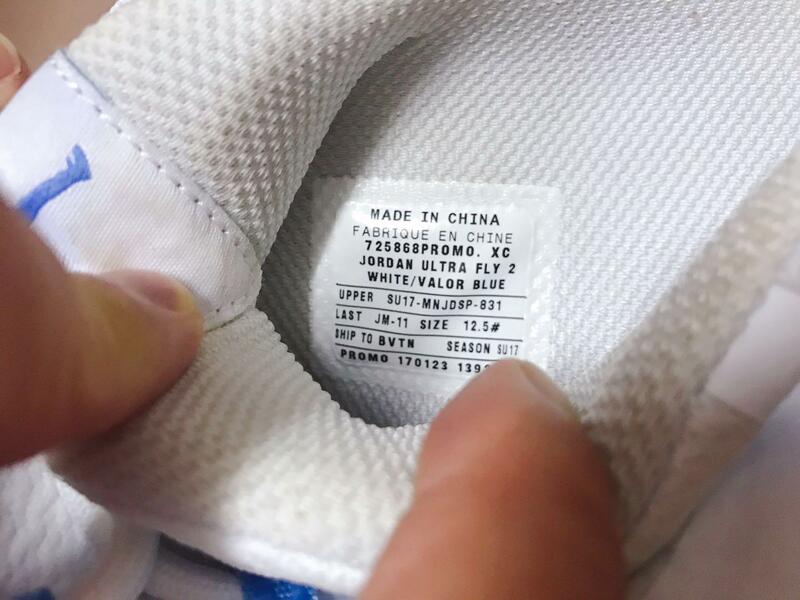 As is seen in the image, there is a tag attached in the insole, showing some basic information of the shoe. 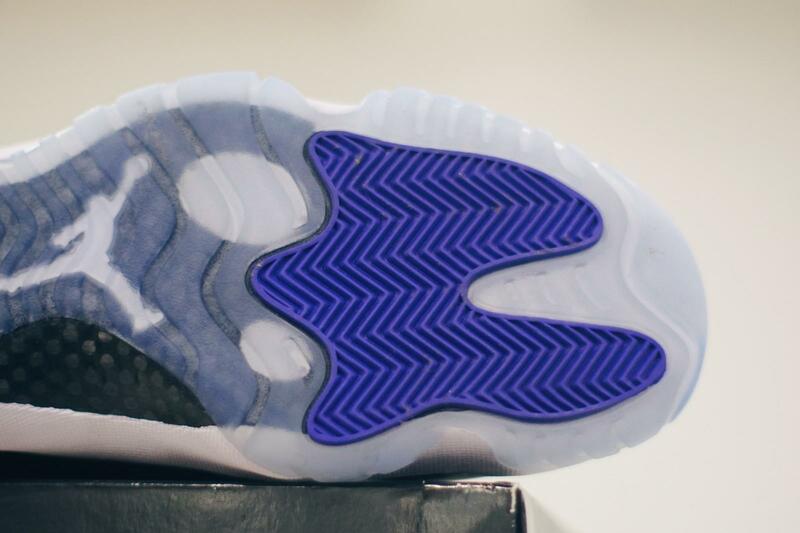 Well, looking at the outsole pattern, it seems to be very awesome. Then how about the performance? Dainty designed and made of rubber, the outsole is very durable first of all. 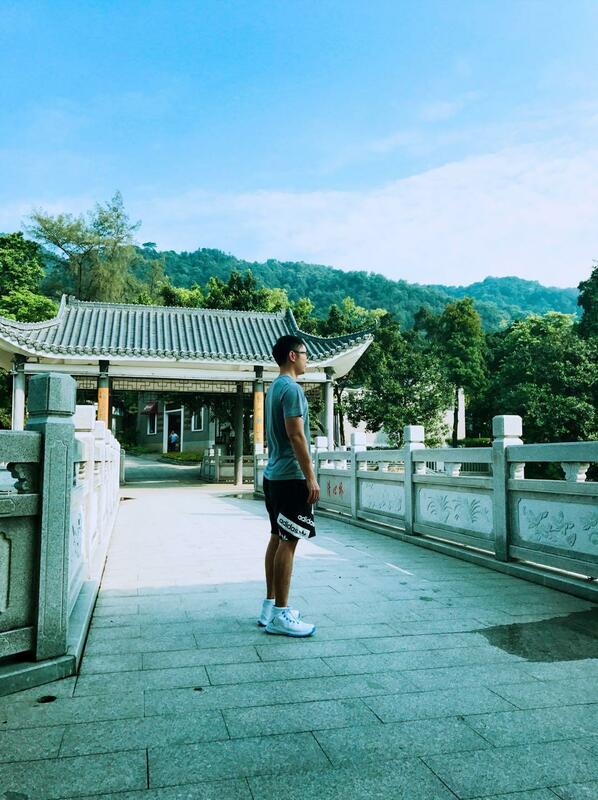 If you are quite into outdoor court which are coarse as well, then you’ll get surprised at its excellent performance, and you’ve got a long-term comrade as well. I know that many people say the traction is on point of a shoe. Well, they are right. But for a good outsole, players would not have got a wonderful experience. 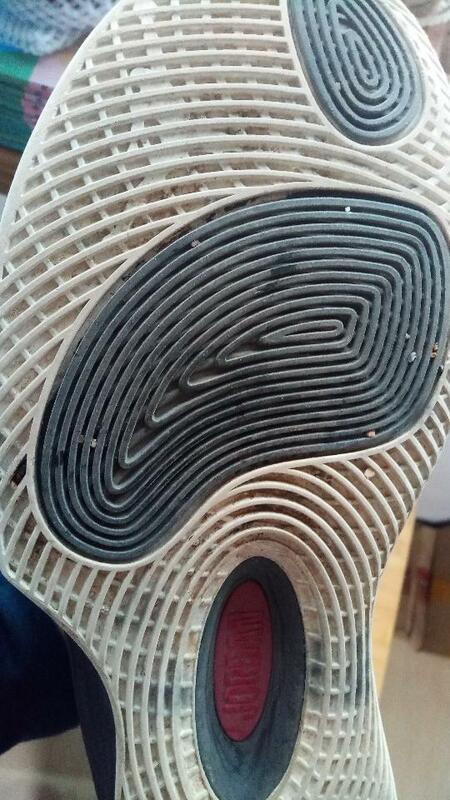 I should say that the outsole performs very well. It just does what it should do——hugs the floor tightly when needed and does not when there is no need. On clean and semi-dusty courts, indoors or outdoors, it always grips very well. 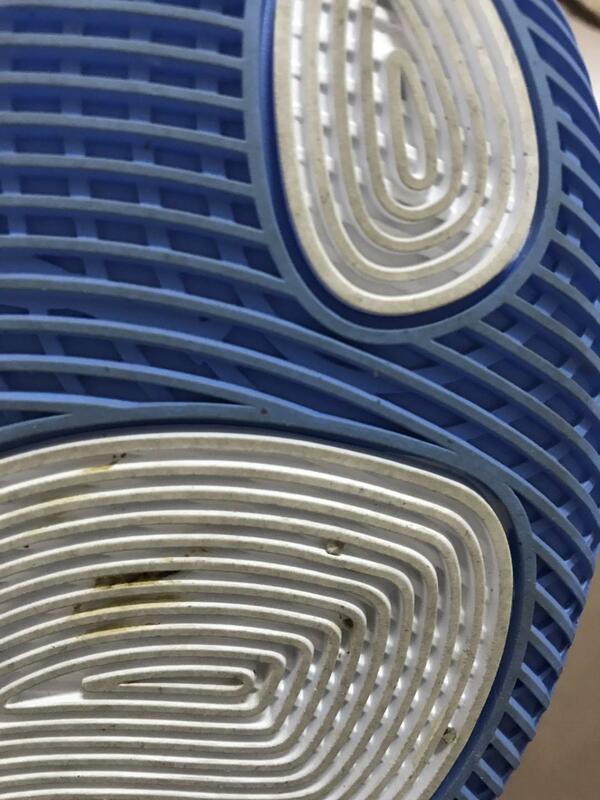 But there are some cases in which it can not hold up well, for instance, on dusty courts, and thus it invites dust quickly; therefore, wiping the upper, as is said before, along with the outsole frequently is required. When it comes to the cushion setting, Ultra.Fly 2 installs heel and forefoot Zoom Air. It said that the cushion is greatly appreciated and it feels splendid. Whoever is able to own it would think highly of it. Wearing it on court, you can apparently feel the bouncy feedback offered by the cushion. And above all, the feeling is fantastic, which is like stepping on a pillow. But, there is always a but: the shoe is somewhat heavy. And I also once saw in some reviews that it is bulky too. However, with a number of fans appreciating it, I would not regard it as a deal breaker. Finally, let us turn toward the fit. 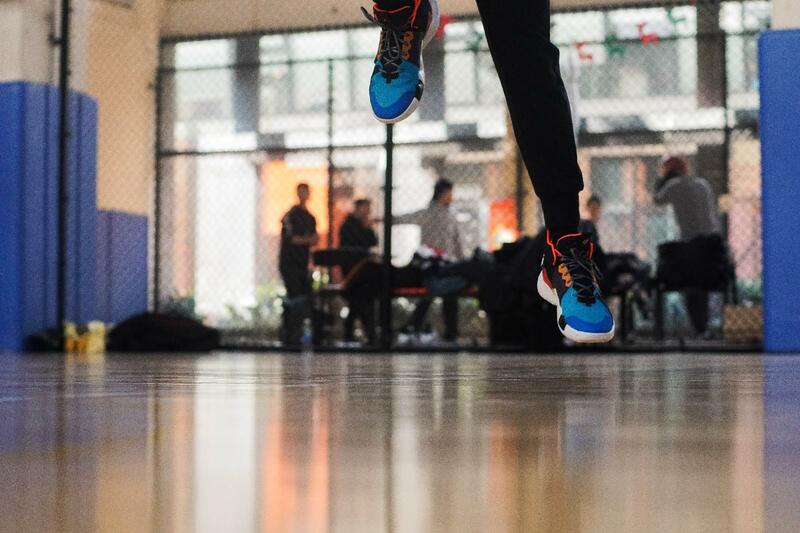 If regardless of the other aspects, in most cases, it is the fit that matters most, and the fit is also a key factor when consumers are buying shoes. 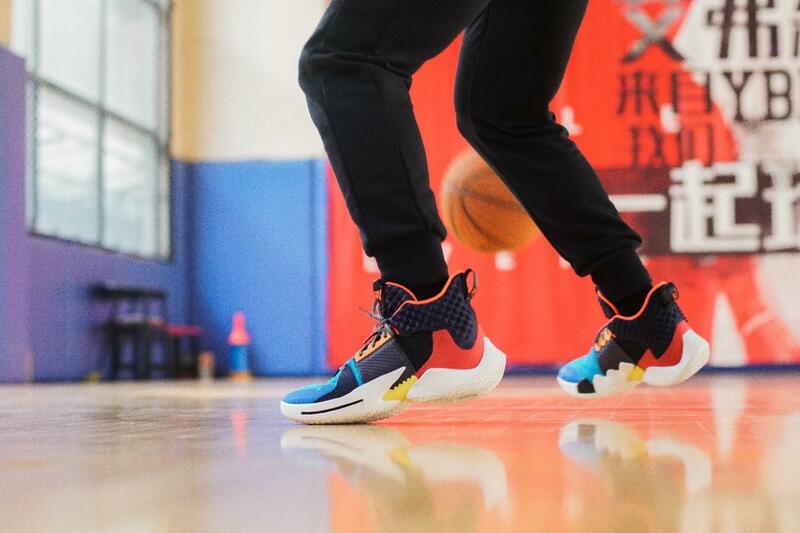 Noted by a number of reviewers that Air Jordan UltraFly2 wears super comfortable and feels like a sock and I myself think so. Besides, it even makes you forget that you are actually wearing something. If you are willing to get along with it, you may just find it creeping into your regular rotation after some period of time.Well, definitely, it can’t designed to please everyone, but surely, it caters to both big guards and big men. So remarkably does it performs that I am totally obsessed with it. 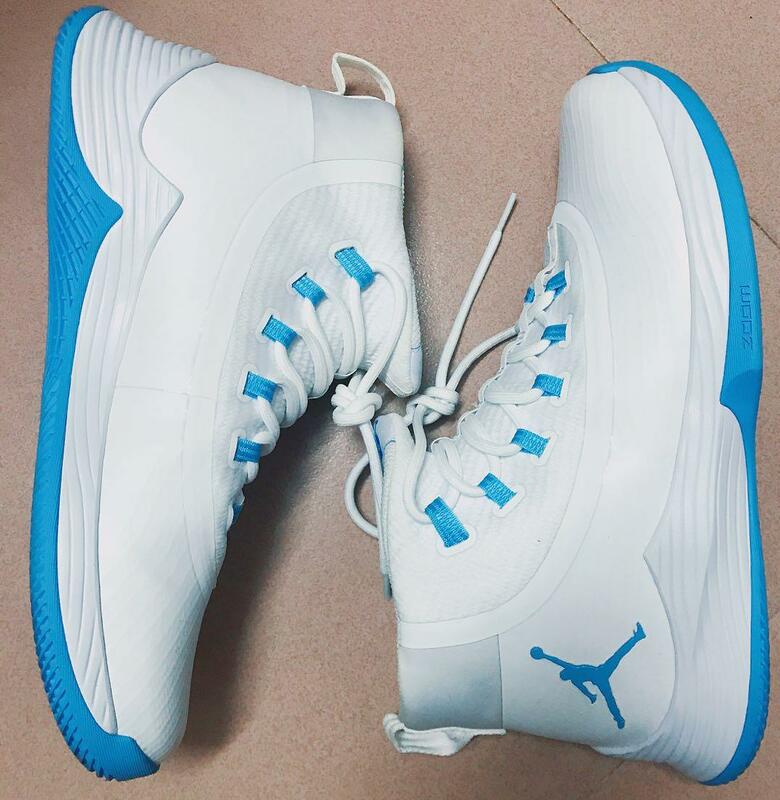 To summary, the Jordan Ultra.Fly 2 is a solid all-around performer. And above all, the truth has proven it to be an excellent model. 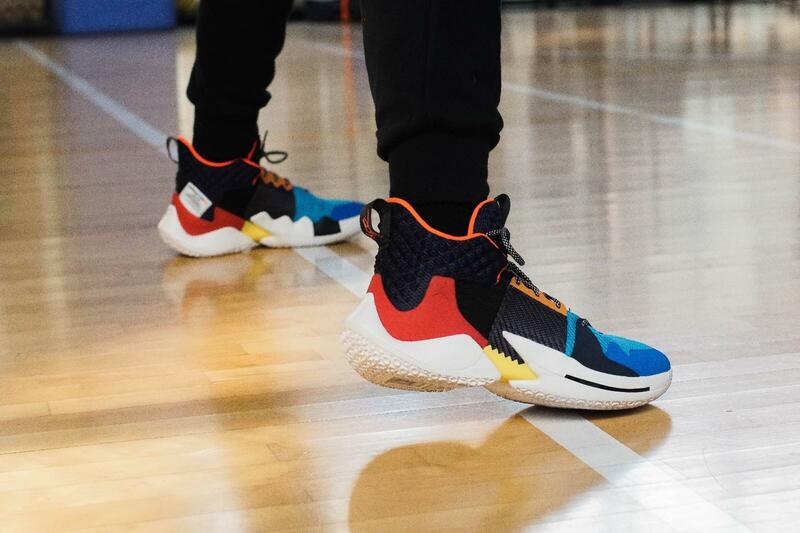 The new signature shoe with Jordan called Why Not Zer0.2 has just officially released on January 10th, 2019 in full family sizes. According to the official news, many a new technologies are installed in this Why Not Zer0.2. Personally, maybe it is one of the best signature models out on the market at the moment. Compared with the 1st version, Why NOt Zero.2 can be said to be changed greatly before marketing. 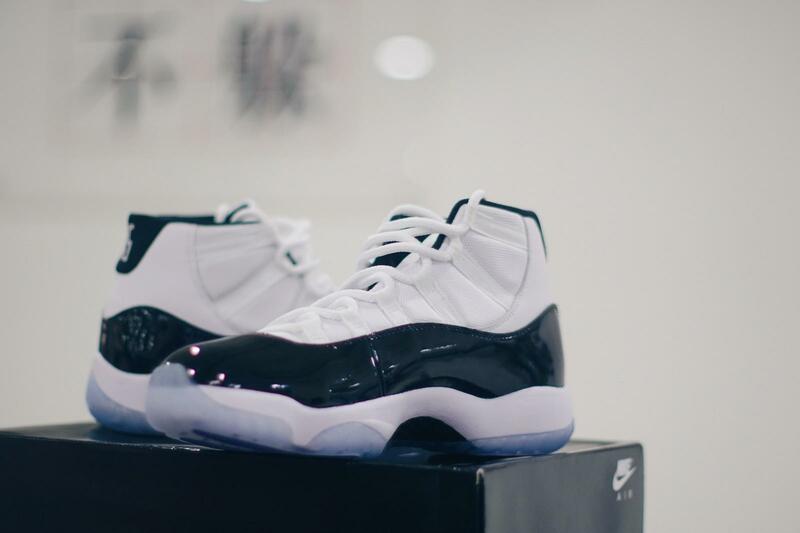 So greatly changed was the shoe that you can not tell any relationship between the 2 versions. There is no deny that this impressive new design has brought much influence for some fans. Then today we’ll take a look at the shoe. 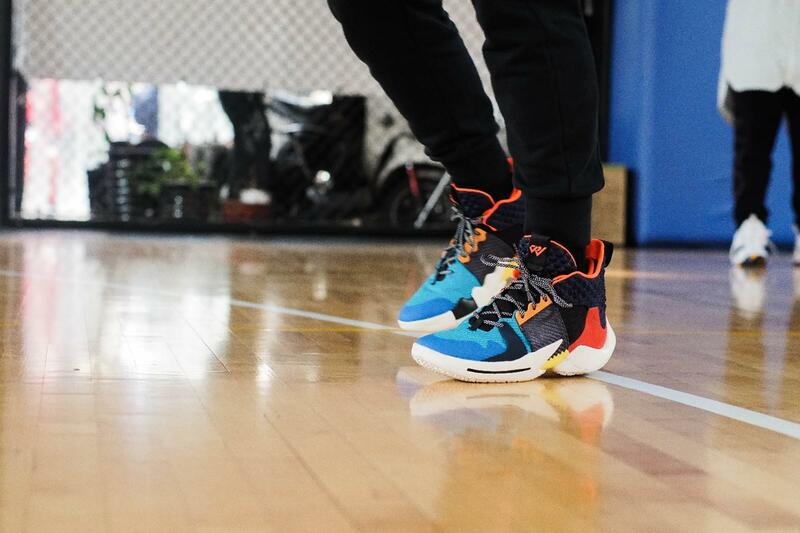 As you can see, this wild colorway is very special. 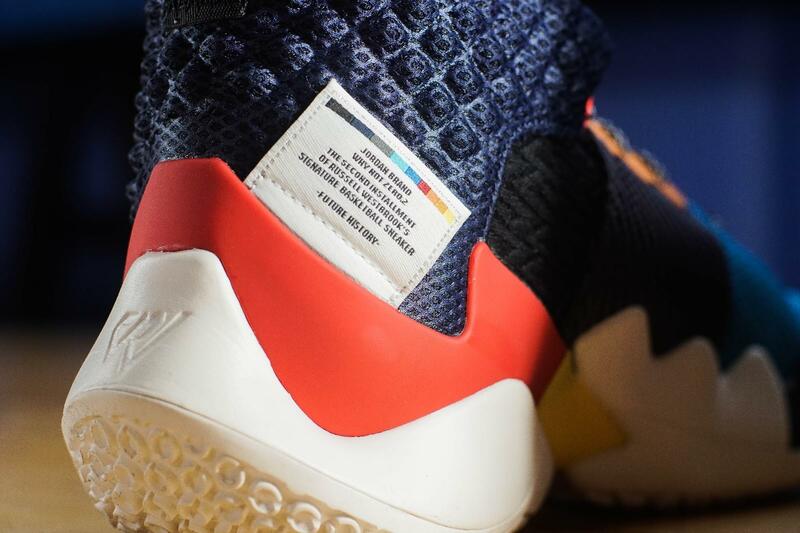 The distinguished tag in the heel shows detailed information of the shoe. 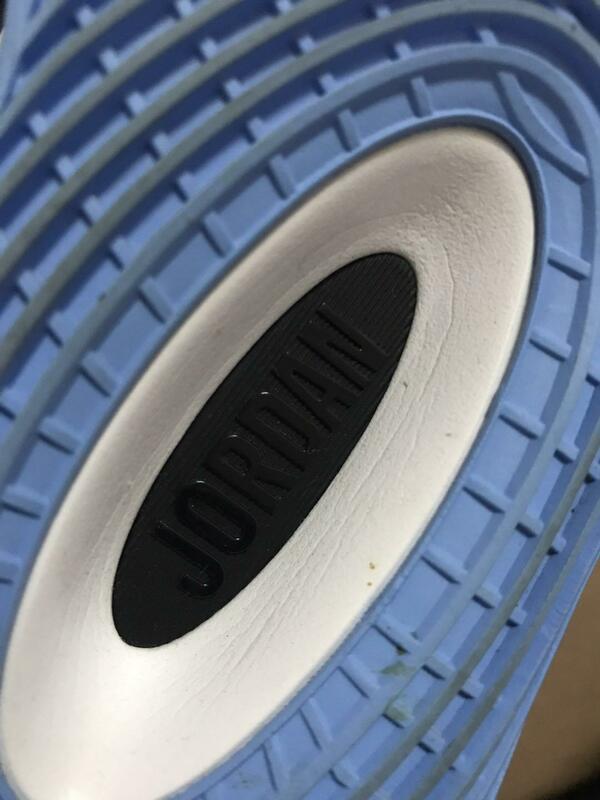 Looking at the outsole, there are many circular patterns which are specially designed and used to reduce friction. For the grip, it just performs as I expected before——average. Outdoors or indoors, there is no much difference of its performance. If dust is present, it performs as usual as well unless there is much dust that is accumulated for years. However, although its grip is OK, the slipping does exist; but there is no need worrying because it would not result in serious problems. 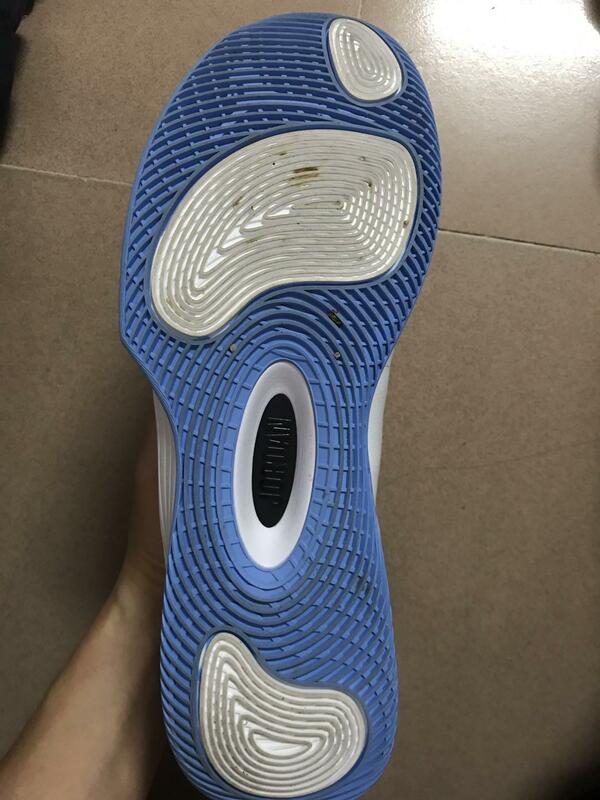 On top of that, if you are longing for a long-lasting outsole, then you will definitely get disappointed for the rubber is on the soft side. But don’t be upset because things are not so bad. Provided that you maintain the shoe in good condition say wiping or washing every now and then, it lasts working as well. For the upper, it takes on a deconstructed approach with exposed stitching and a lofted mid-foot strap. 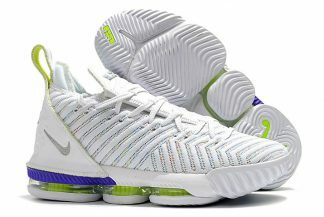 Besides, mesh and knit are installed in the upper; so this time breathability is on longer absent. 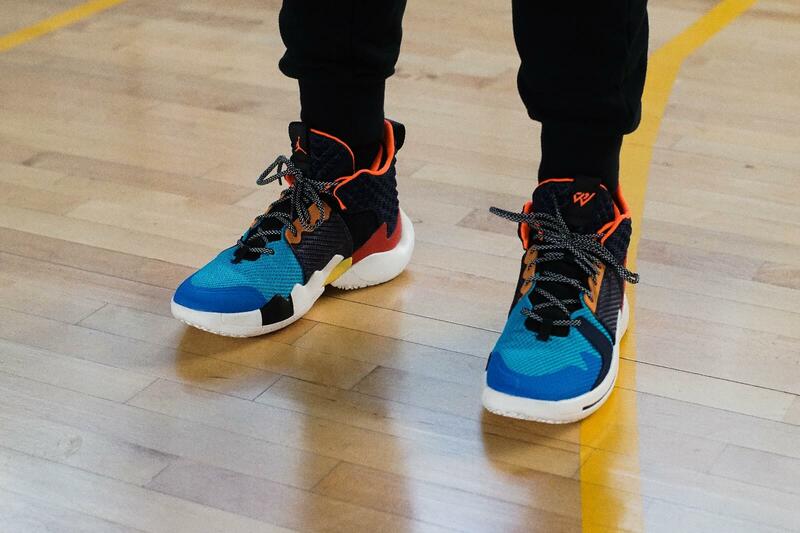 And with the lacing system, a bit like HUARACHE’s design though, the shoe’s wrapping does attract me very much. From an objective perspective, the wrapping works quite well; from my own perspective, at least, it is of great help to me. Owing to the wrapping, the shoe requires barely a little break-in time and offers you lockdown; therefore, you can just let your feet lay in the shoes and worry nothing. With respect to the support, some setting needs to be mentioned. 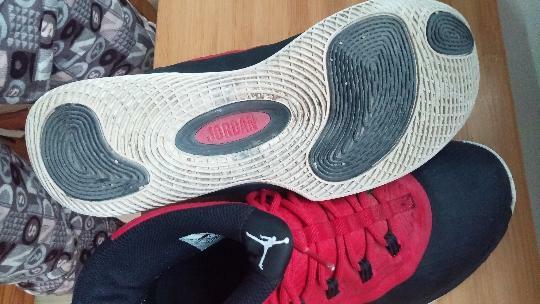 In order to keep the support in good condition, a double-layer is equipped in the heel; and an exterior TPU is added at the heel for stability. As a matter of fact, it is the TPU that plays a vital role: the midfoot and rear heel support actually come from the TPU plates. It keeps the part strong rather than heavy. As members of a series, comparison between the models is seldom absent. 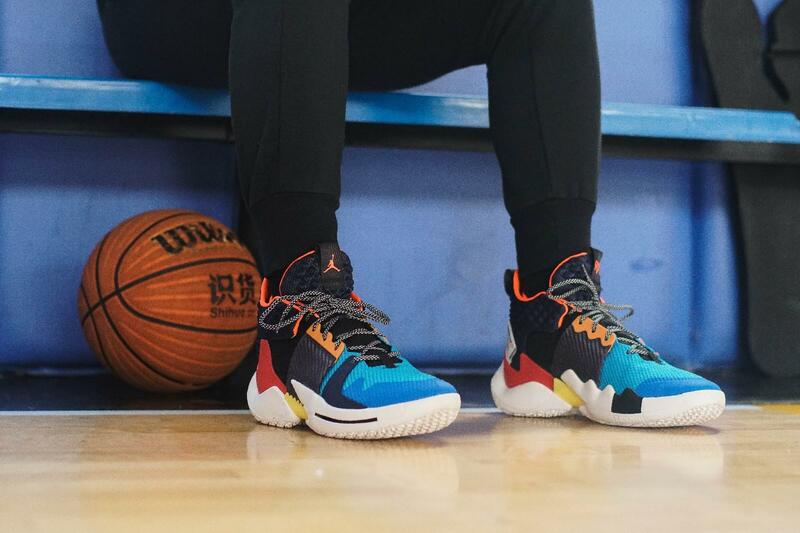 The Why Not Zer0.2 utilizes a Zoom-laden two-piece sole with an exposed mid-foot plate. Forefoot Unlocked Zoom Air is also placed. 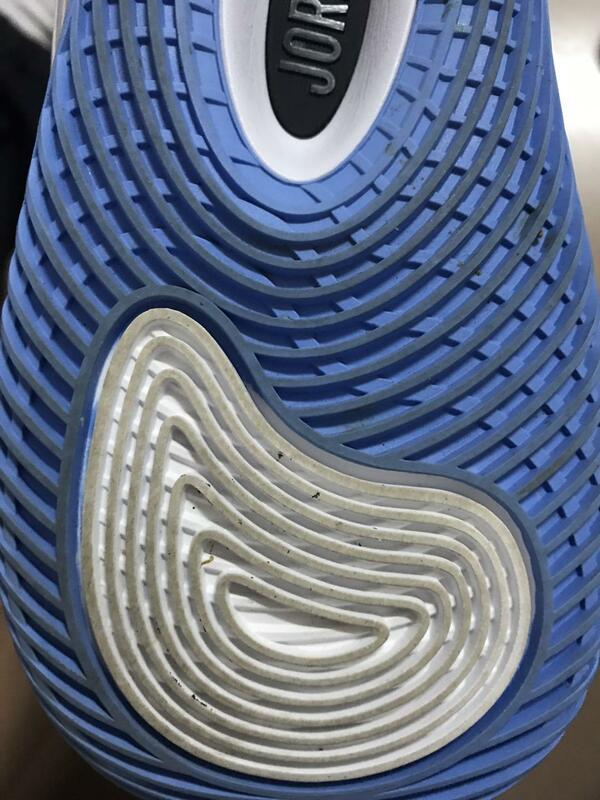 But compared with the 1st, there is no doubt that the Why Not Zero.2’s full foot cushion settings are declined. I clearly remember my initial play on Why Not Zero.2 that it gave me quite an wonderful and unforgettable experience. I enjoy the cushion whether there is speed-up or start-up. 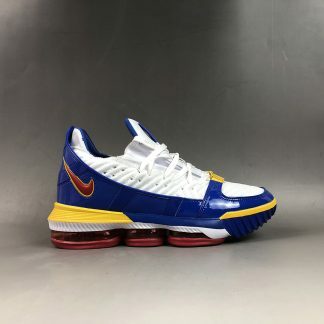 If you are fond of the super springy feeling, then it is for you; if you are into the shoe’s feedback, you might as well take it into consideration. Being capable of owing this model, you are getting a fantastic experience. For some people, there might be some extra room in the forefoot. So for those wanting a fabulous feeling, they might go a smaller size. But only when they try the shoes on can they know whether the shoe is the best choice. As for me, it fits me snug well. And it goes the same for wide footers. Besides, overlay straps/panels exist so as to wrap around the foot at the forefoot, midfoot and rear. 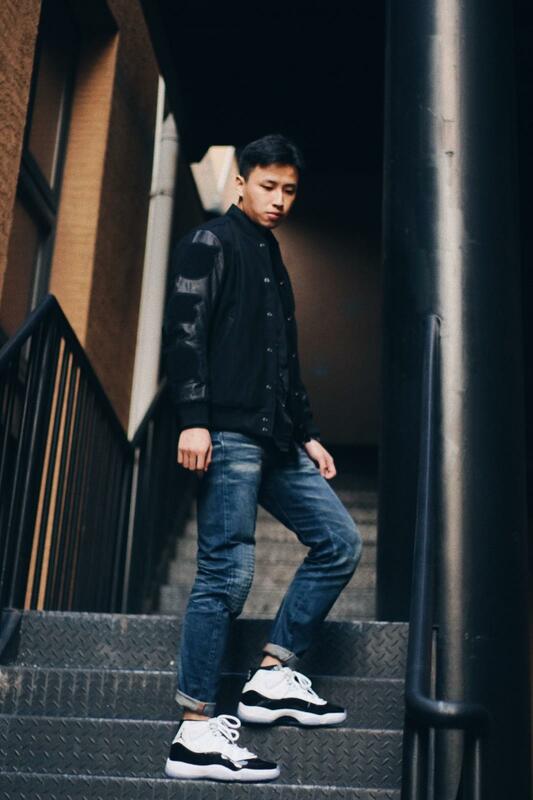 The nice fit is just the reason why I bought this shoe. 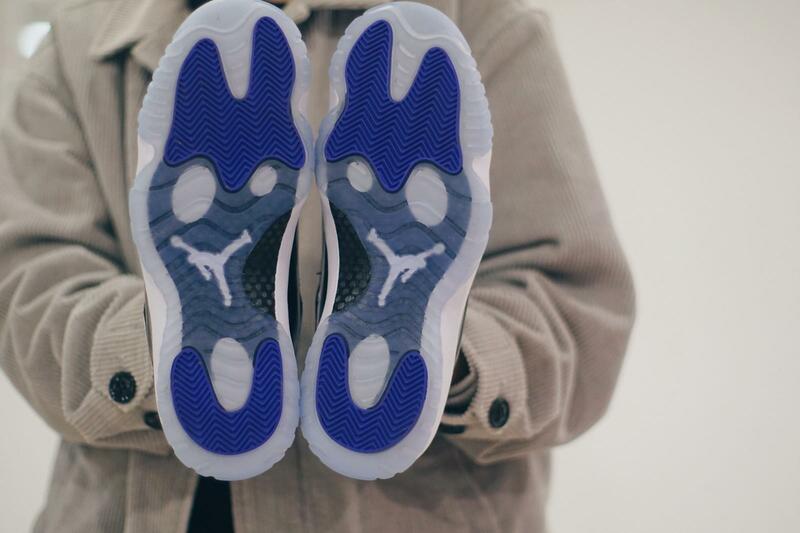 What needs to be mentioned is that the shoe can’t be lightweight, which is up to the thickness of the midsole and the heel. The above are based either on my experience or some objective facts. Why Not Zero.2 is just suitable for all kinds of players. With the rational price, the excellent cushion and the fantastic fit, the shoe is within your reach. But above all, whether a shoe fits you only you know. So if you have been considering it as your next on-court companion, you can get a try and it is worth your trying. 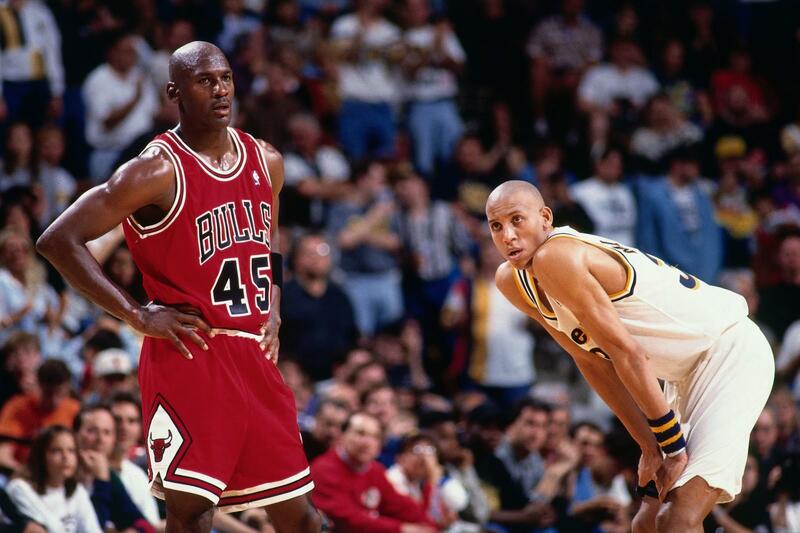 Since 1993 when Michael Jordan decommissioned from NBA, never has anybody thought of his return to the NBA court. 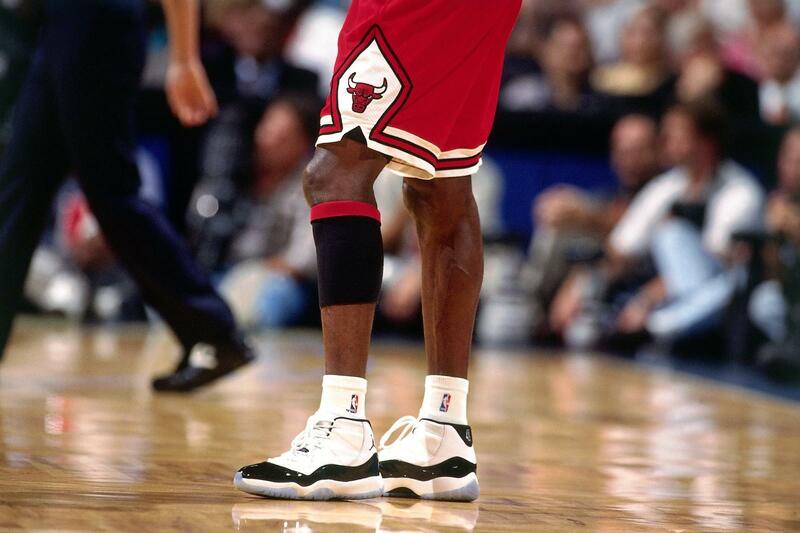 Later in the 1955-1956 season, Air Jordan 11 had become the great player’s most reliable companion. 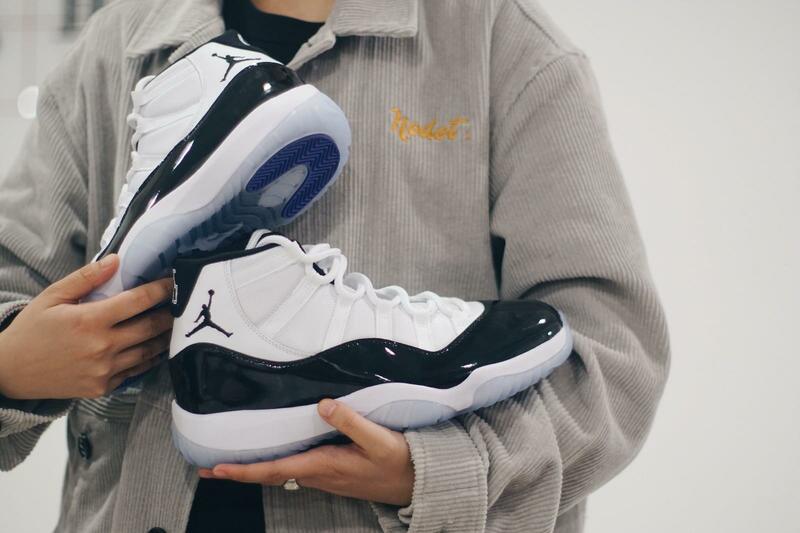 Designed by Tinker Hatfield, Air Jordan 11 was Michael Jordan’s favorite; furthermore, among all the colorways, CONCORD is frequently seen in Michael Jordan’s feet. 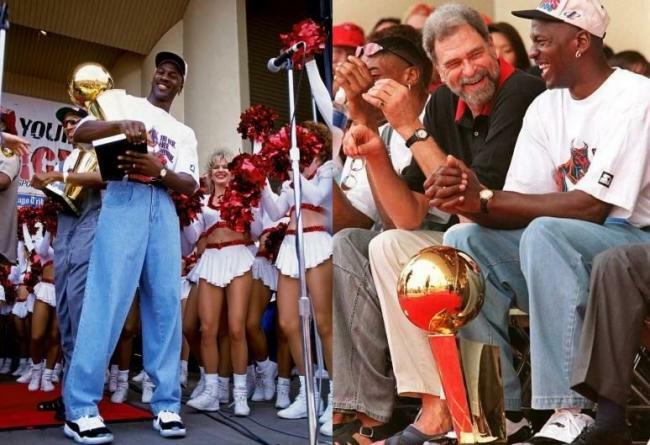 As you can see, Michael Jordan wears the Air Jordan 11 CONCORD in all kinds of occasions. 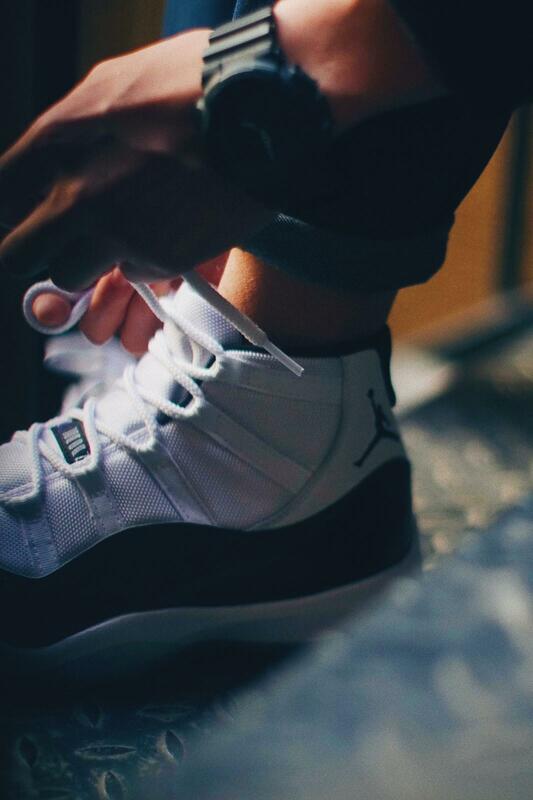 With Air Jordan 11 CONCORD’s availability now, we’ll get a look at this shoe at length today. Opening the shoe box, what comes into our sight first is the large black patent leather. 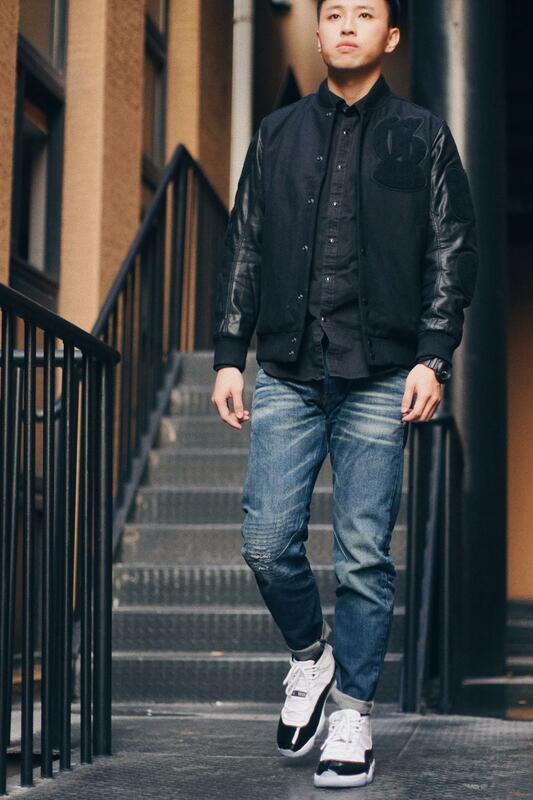 Contrary to the white upper, it is the special bright black that makes the shoe distinguished from the other shoes. 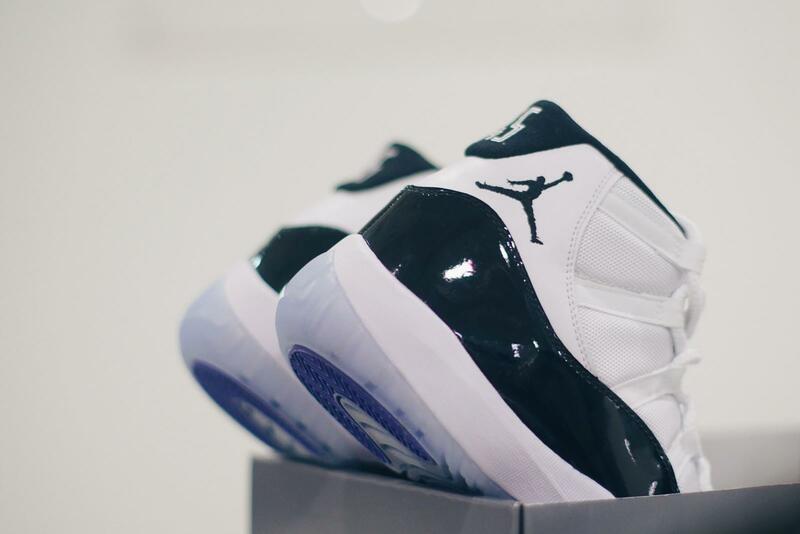 Followed by several re-releases over the years, this black, white and concord version of Michael Jordan’s eleventh signature shoe completes with brand-new “45” branding on the heel in place of the standard “23” mark. 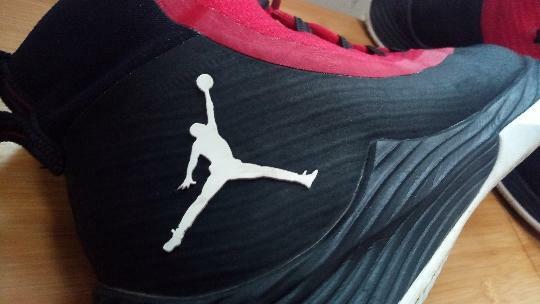 On top of the above, at the heel part there are the Air Jordan logo which is never absent. For most people, the “45” mentioned before has also been the most appealing. The traction is made of crystal materials and the blue rubber; we can also see clearly that a large square of carbon board plus the iconic flying man are installed in the outsole, which makes the whole traction very pleasing to the eye. Personally, every inch of the traction is designed delicately and creatively. When it comes to the grip, frankly speaking, I have never come across any slipping on court. The traction just hugs the floor so well though it would sometimes attract dust to the surface. But whether dust or not dust, there is not much influence; hence, there is no need wiping frequently, which saves you much time. The grip, I believe, is ample; if you are into outdoor court whose environment is not so bad, the grip is ample too let alone indoor floors——sufficient! 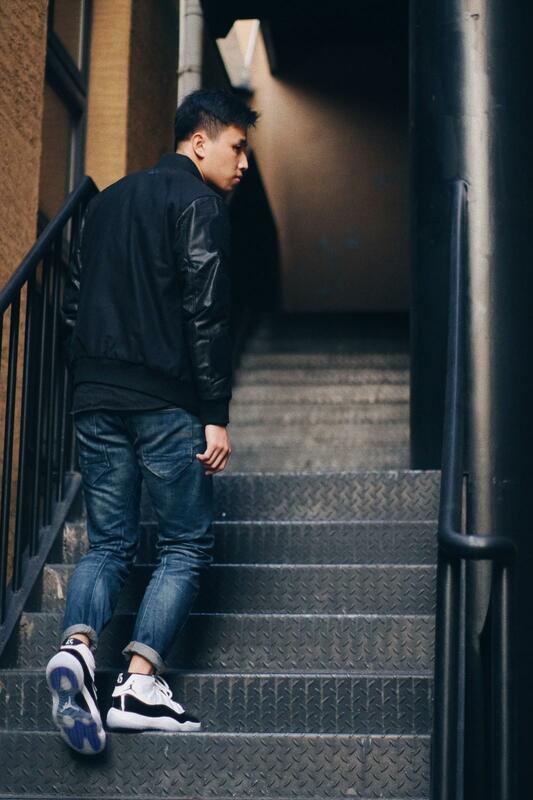 When start-up and breakthrough are needed, the outsole offers you all-directional grip. However, not that the pattern the prettier, the better. A shortcoming of the traction is that as time goes by, it would turn yellow as a result of being oxidized. With respect to the wrapping, I am quite pleased with. But anyway, only when you try them on can you experience the tight and superb wrapping——this is true of the fit. 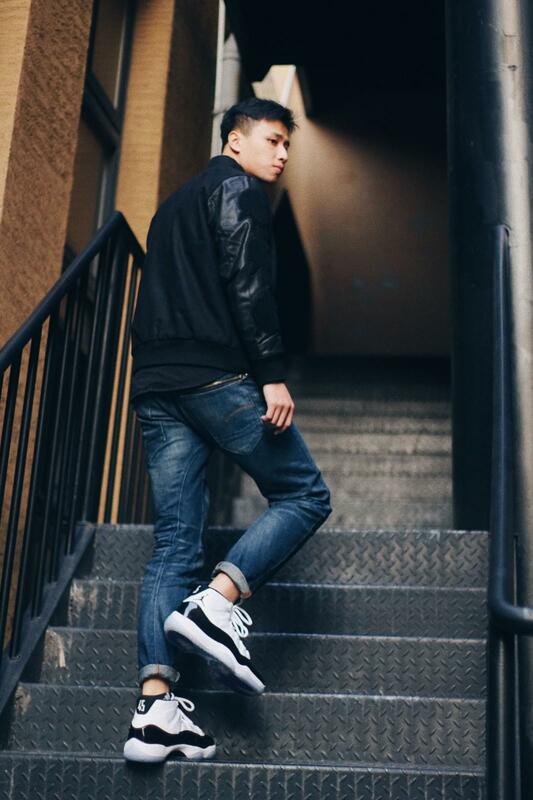 Besides the lacing system, the large upper and the thickness of the shoe elevate wrapping to a certain degree. To reinforce the wrapping, there would not be coexistence between the thickness an breathability. 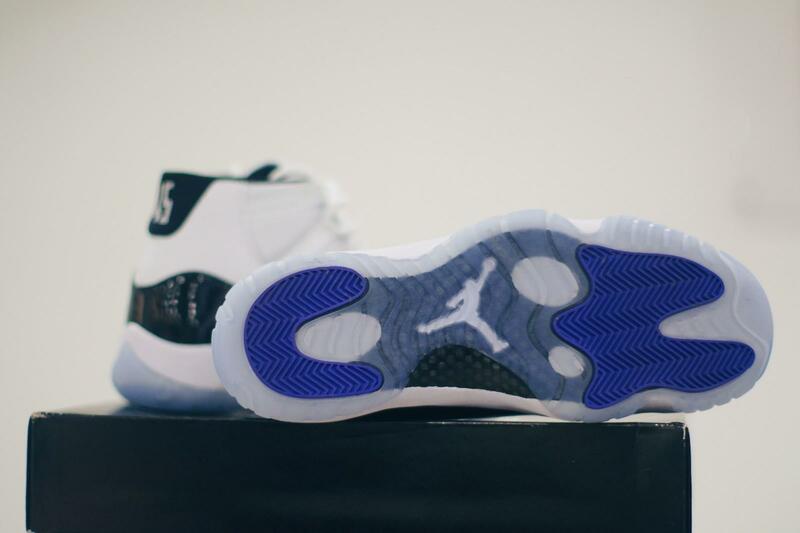 Thus, breathability in Air Jordan 11 CONCORD is absent, making it unsuitable to wear in summer. 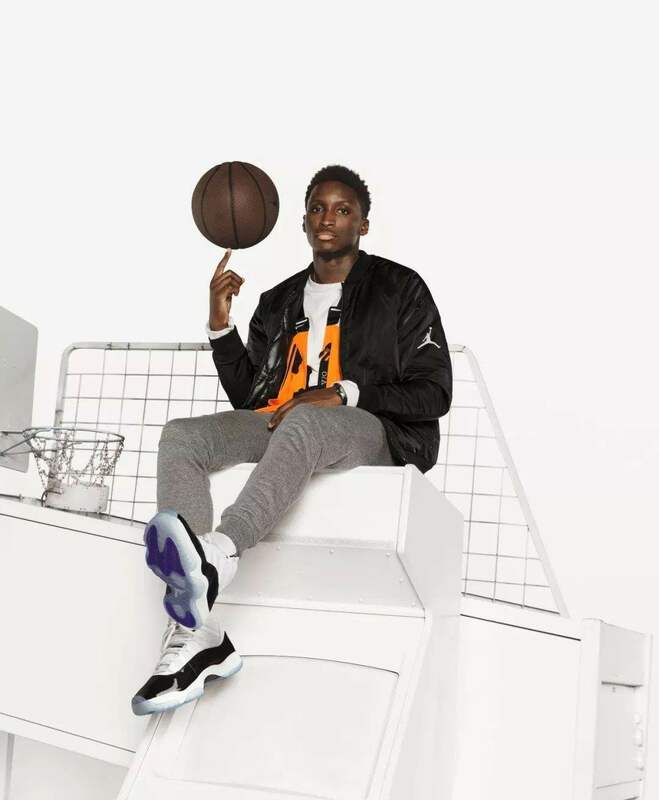 Though not being able to be installed with the latest cushion tech, the cushion setup of Air Jordan 11 CONCORD is OK. For daily wearing, you’ll feel the bouncy Air Sole cushion in the midsole. Well, in fact it can not be compared with some super-strong cushioning technology on the market, for those not requiring much in this part, it is enough to use. Provided that enough pressure is placed, the cushion can still work passably. 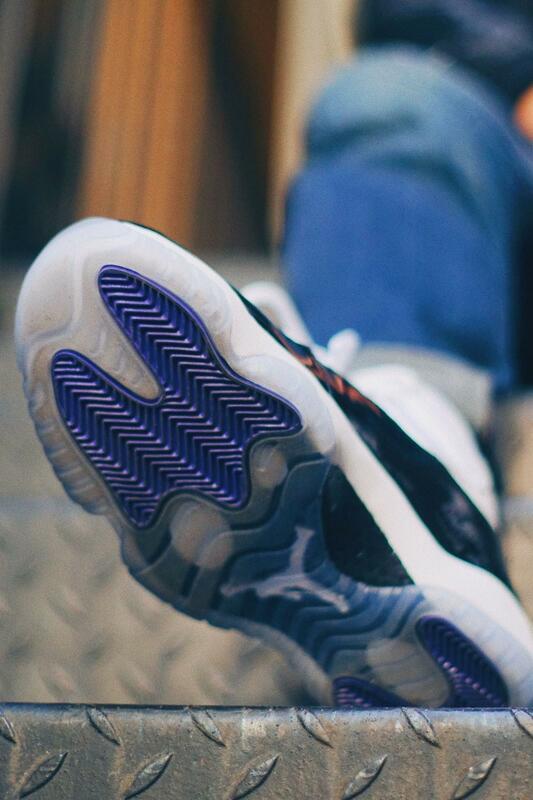 For me, Air Jordan 11 CONCERN fits snug well. 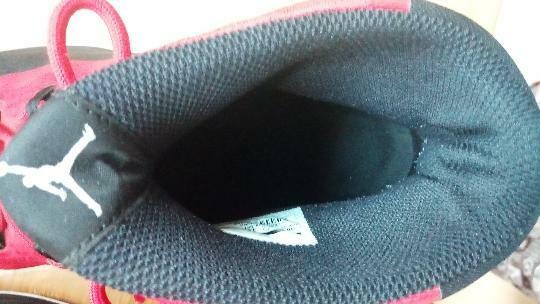 The upper wraps your foot tight and makes your foot stay in the footbed. It is quite easy for on-and-off; it fits true to size for most people; it wears secure and comfortable. The above are my personally view and you can take it for reference. 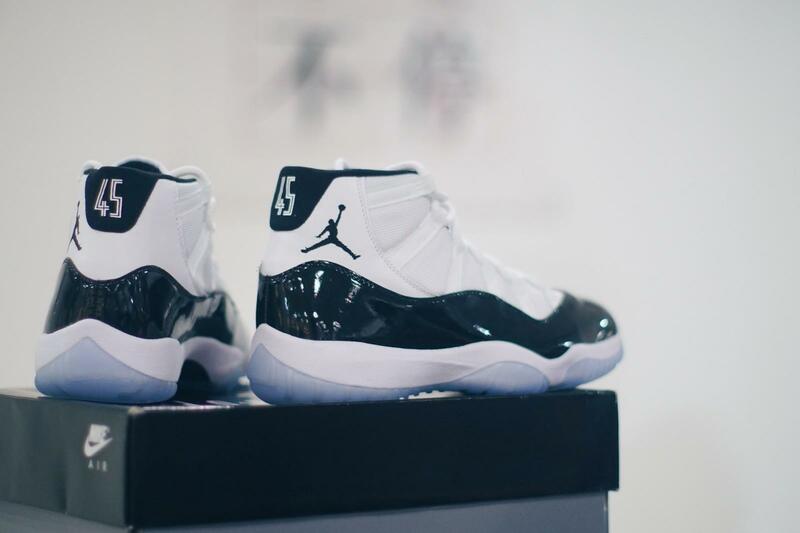 Scheduled to release on December 8, 2018, this Air Jordan 11 CONCORD is now accessible to us all in Jordan stores. 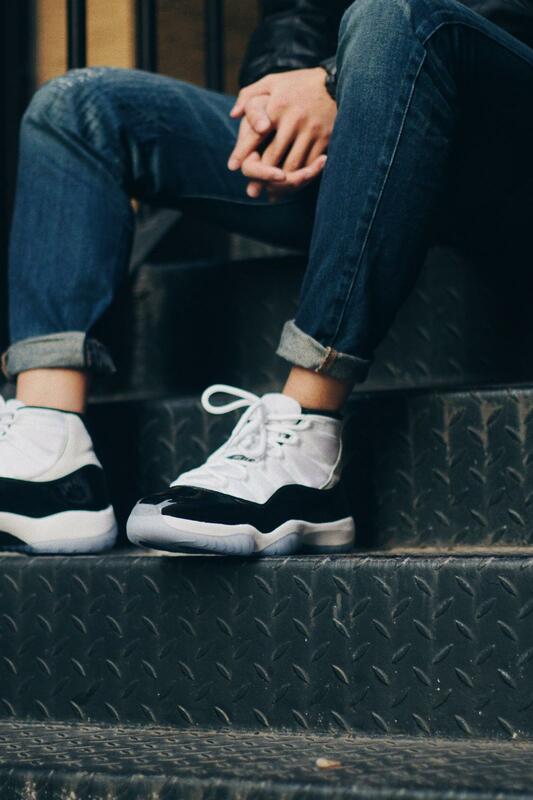 Objectively speaking, Jordan 11 CONCORD is not a perfect one. But it can be said to be an excellent sneaker and a reliable companion to some way. It was not until I gave it enough playing time that I found it suited me so well. If you are willing to have a try, maybe you will be into it like me. 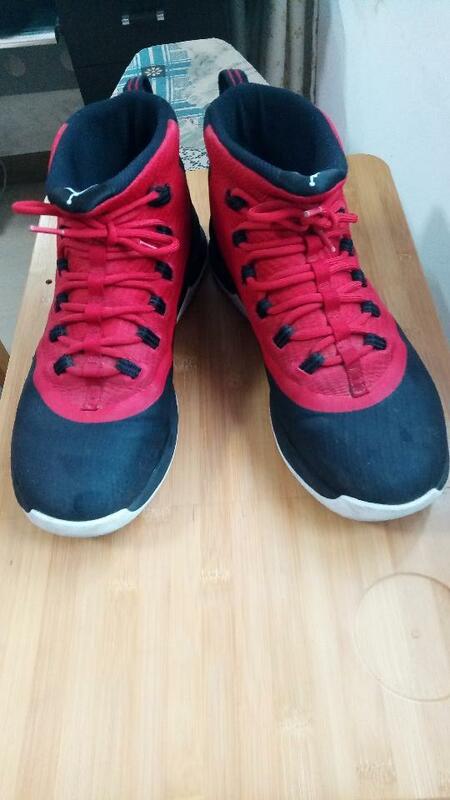 I got this Air Jordan Butler Ultra.Fly 2 in last especially cold winter. 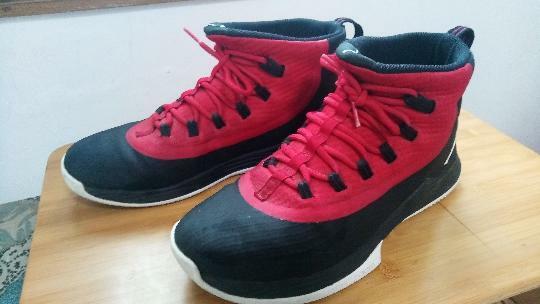 I was just looking for a comfortable and warm shoe, then in the very year, I came upon this sneaker, which looks very warm and suitable for winter. Chances are that you’ll consider this Butler Ultra.Fly 2 as another one at the first sight because it is an alien-like model, which makes it a bit hard to tell them apart. 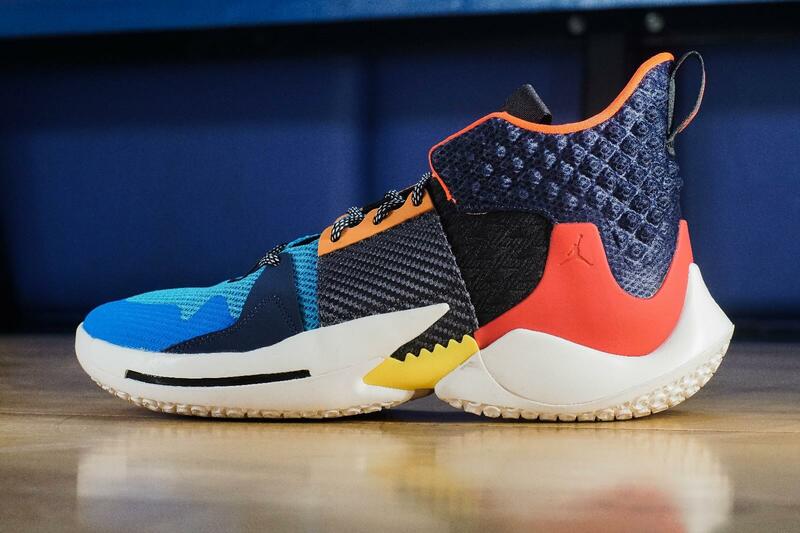 However, this Air Jordan Butler Ultra.Fly 2 is absolutely unique. Today we will get a look at this model at length. 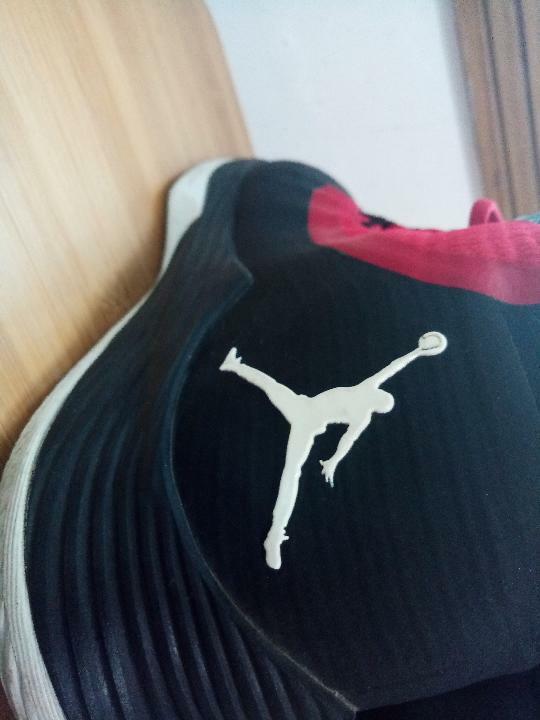 First of all, I’d talk about the shoe’s appearance. Based on my personal experience, to tell you the truth, I was not attracted by its appearance at first. In other words, I am not satisfied with this part. There are several kinds of colorways and finally I chose this topical red and black. Heavy as it seems to be, it is in fact very lightweight. 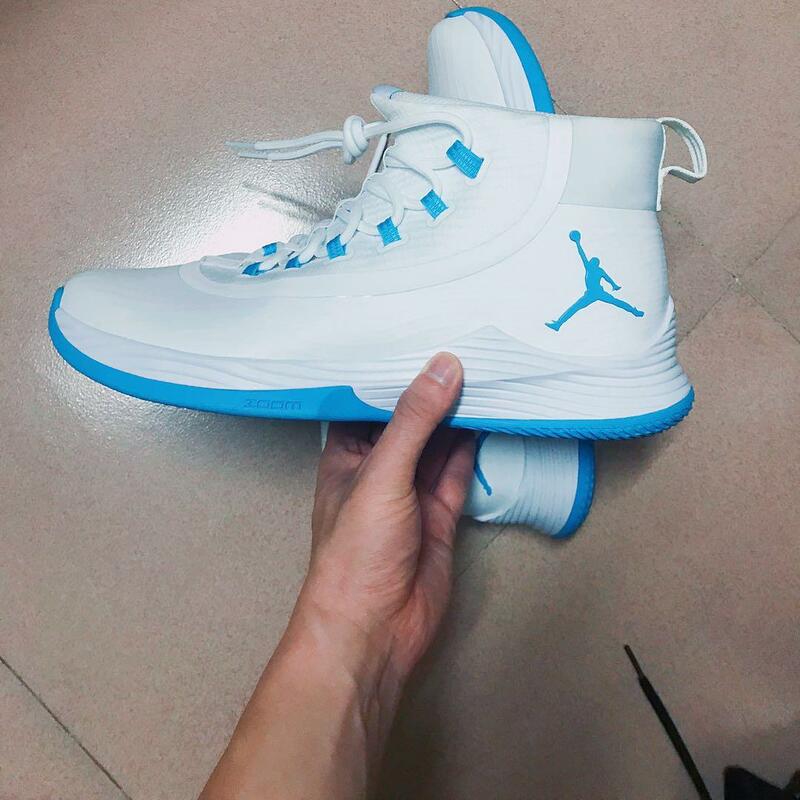 Also, there is another advantage in it——that is the shoe’s excellent durability. Just as an old saying goes,” Do not judge a book by its cover.” Personally, this goes the same for Butler Ultra.Fly 2. After a year’s wearing, Butler Ultra.Fly 2 just remains good shape and excellent performance. But on the other hand, it is the distinguished appearance that makes Butler Ultra.Fly 2 special. There are also symbolic logos at the sides. For the wrapping, Butler Ultra.Fly 2 wraps your foot super well. However, it is hard for on-and off. It is likely that you’ll spend much your energy wearing this shoes. And there is often a “but’. Being a one-piece upper, it is likely that Butler Ultra.Fly 2 can not meet every need you require. For wide footers, here I highly suggest that you try the shoes on in case there might be discomfort. Here I’d mention the rope at the heel. Definitely it is thought highly of for it really does a good help. It does improve the wrapping to some extend. After finishing wearing, there is an obvious feeling that your feet are tightly wrapped. Looking back at my own experience, I was not used to it at first while after some time getting along with it, I found it catered to my playing. With respect to the shoe traction, I have a lot to talk about. The pattern is designed awesome and also, the traction itself is very durable (but this may be closely related to my way of playing). As is seen in the pictures, the gap between the grains is a bit wide,thus miking it easily to draw gravels to the traction; therefore, wiping every now and then is needed so as to keep good grip. As for whether dust is present or not, there is no much influence. It is mainly the black part that needs to come into play on court. 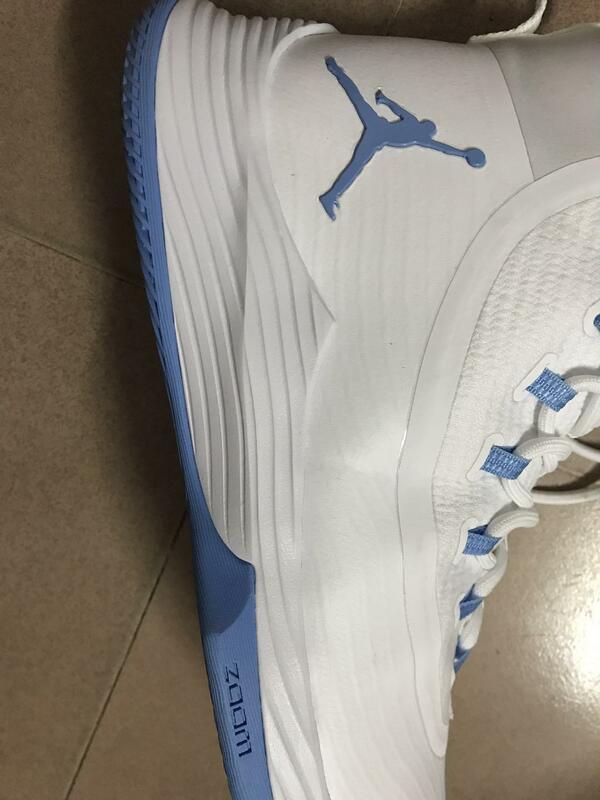 For the cushion, Air Jordan installs Butler Ultra.Fly 2 with forefoot and heel Zoom Air and Phylon in midsole. 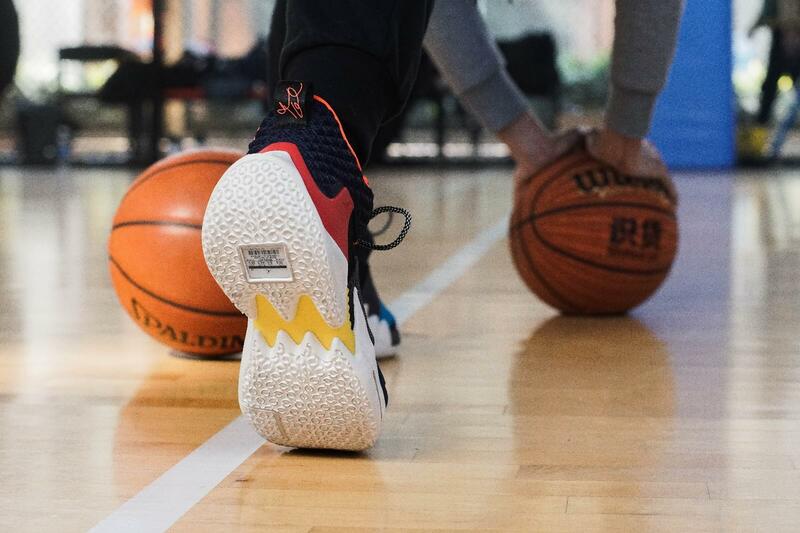 As a result of this, never is there an absent bouncy feedback in forefoot, but for the heel Zoom Air, the elasticity is average. 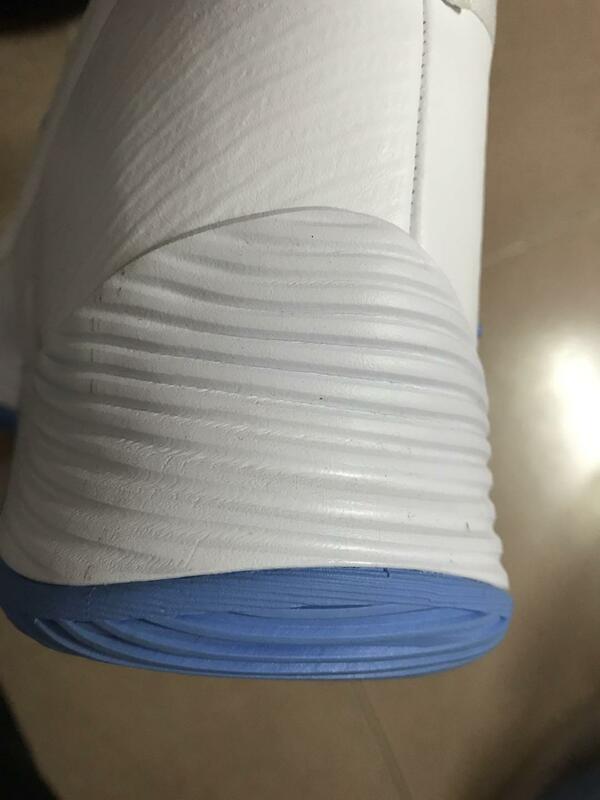 Would it be better to equip the forefoot Zoom Air in the heel part? The answer is yes. When in combat, it offers a fabulous court feel for you.Despite the absent protection, there is still something in the shoe. Al in all, Butler Ultra.Fly 2 is a good shoe that is worthy your trying. As I mentioned before, as long as you give the shoe enough time to get along with you’ll feel that it performs well and breaks in superbly. But for those looking for sufficient protection and can not bear absent breathability, Butler Ultra.Fly 2 might not be a good choice.